We just released Book 2 for Beta-access backers (chapters 4-6)! Book 2 is titled “Contact,” and it is where things start getting strange in </reality>, and the first major twist is revealed. We also spend more time getting to know the three main characters pasts and quirks, and there are some interesting moments of “contact” between them - perhaps heart-warming, but possibly heart-breaking, depending upon your choices. In other news, we launched a coming soon page on Steam for </reality>. Feel free to check it out and definitely share it with anyone you think would be interested in the game. As you can see on the steam page, we have officially moved our release date to April 18th, 2017. This is mainly because of the major edits mentioned in the previous backer update - Book 3 will take more than a month to finish, and then we will inevitably have revisions based on beta feedback, as well as marketing work. If you haven’t yet, please fill out the Additional Backer Survey. 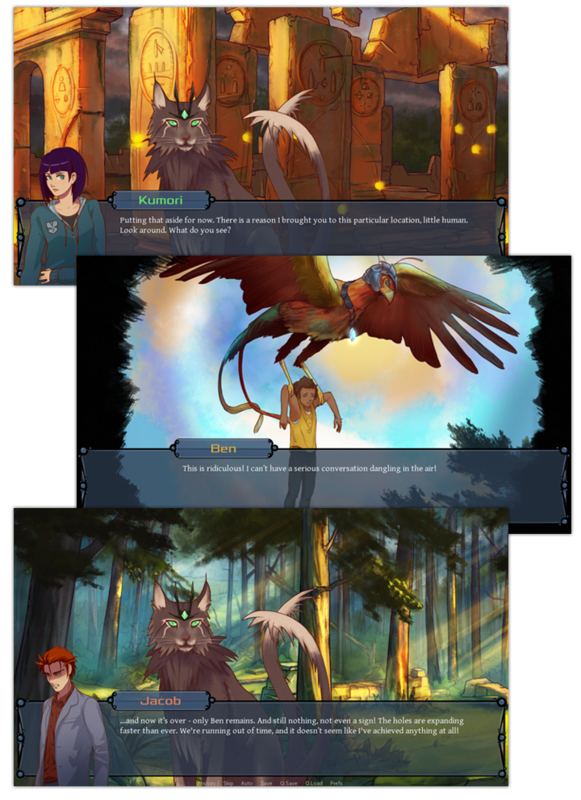 Also, our second artist has now completed over half of the ending panels. She is very fast and efficient, and we are quite pleased with how the illustrations are turning out. We would share some with you if they weren’t spoilers for the ending(s)! For the rest of this month, our plan is mainly to write the new sections for Book 3 and finish editing it. 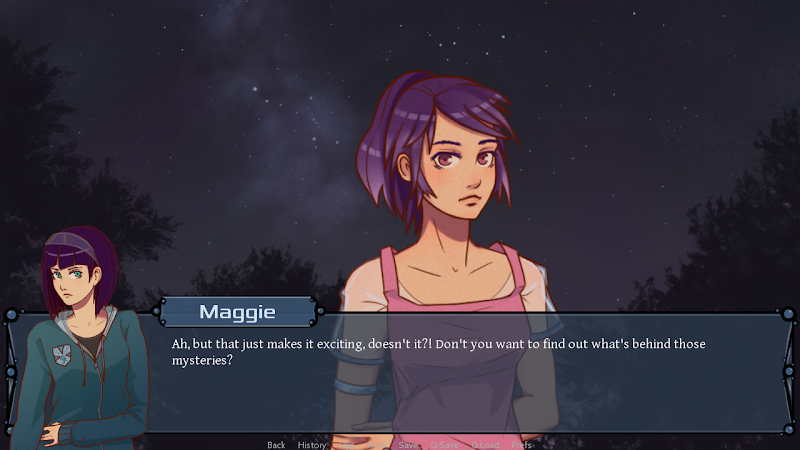 We also have a number of CGs that still need to be done, and two final characters + more expressions for all the characters. We should hopefully have the Beta of Book 3 released by April 10th, giving us a little over a week for revisions before the official release. We’re looking forward to seeing beta-readers reactions to the edits to the ending - I think it greatly increases the strength and conflict, plus it gives a little more screen time to some of our more minor characters. Thank you for your continued support and patience, and as always if you have any feedback on Book 2, feel free to post it in our development forums or use our handy feedback survey. I am looking forward to playing through Book 2. Thanks for all your hard work!